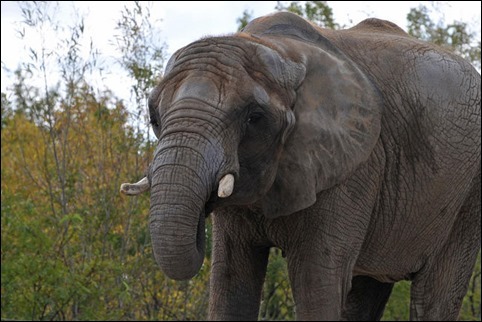 The three elephants at the Toronto Zoo have been cleared for take-off, and will soon be on their way to a new life at the PAWS sanctuary in California. Why are they flying, not driving? Four or five days on the road, shaking around in a truck would be too stressful on these senior citizens who already have foot troubles from standing around in a zoo for so many years. Would love to see a lot more of this sort of retirement from zoo service,including for orcas and other species. In fact, it should be required past a certain age, or a certain number of years of service. That would be the right thing to do. And the cost of retirement should be paid for by whatever entity the animal has served all those years, as part of the life cycle cost of using the animal (sort of like a pension system). Yes, that would increase the costs of ownership. And, yes, that would reduce the number of businesses and facilities that decide to use an animal. Which would be a good thing.